Get set to sparkle at the Charleston Wedding Week Kick-off Event benefiting CWW’s charitable partner, the Charleston Animal Society. Join us for baubles, bites from NAPA, bubbles, and more at Diamonds Direct. Mingle with the experts at Henri Daussi who will be bringing a treasure trove of jewels to the event. Be the lucky guest that will win the raffle for a beautiful pendant necklace from Henri Daussi. And don't miss the pups in attendance—we hear there’s even going to be a four-legged wedding! We talk with Ceci Johnson (Ceci New York), Jess Levin Conroy(Carats and Cake), and Lindsay Mann (Mark Ingram Atelier, Twirl New York) about brand identity in the era of social media and how to rise above the masses with quality over quantity. Join Cindy Novotny, internationally renowned hospitality icon, motivational speaker, and founder of the marketing and service consulting group Master Connection Associates, for an unforgettable lunch. 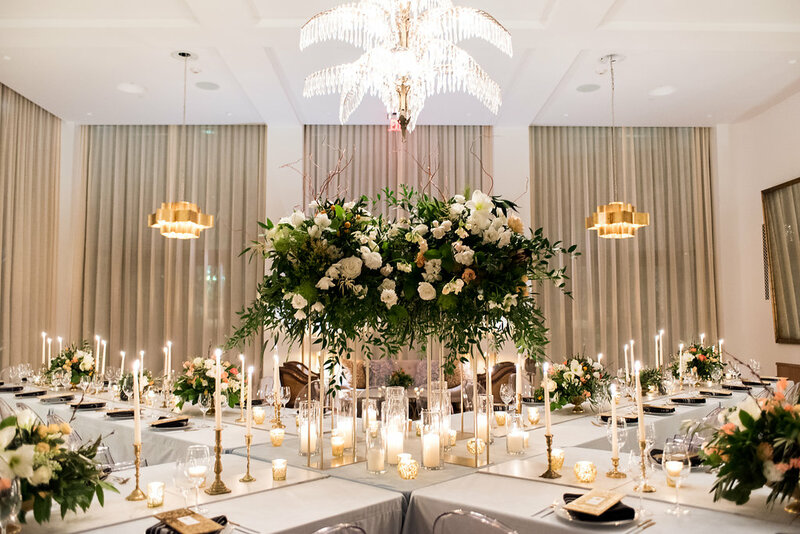 You'll learn insider tips and strategies to make your hotel the “it” property in its class for the wedding market, because, from booking hotel blocks to hosting rehearsal dinners, receptions, and going-away brunches, Big Days in Charleston are big business. 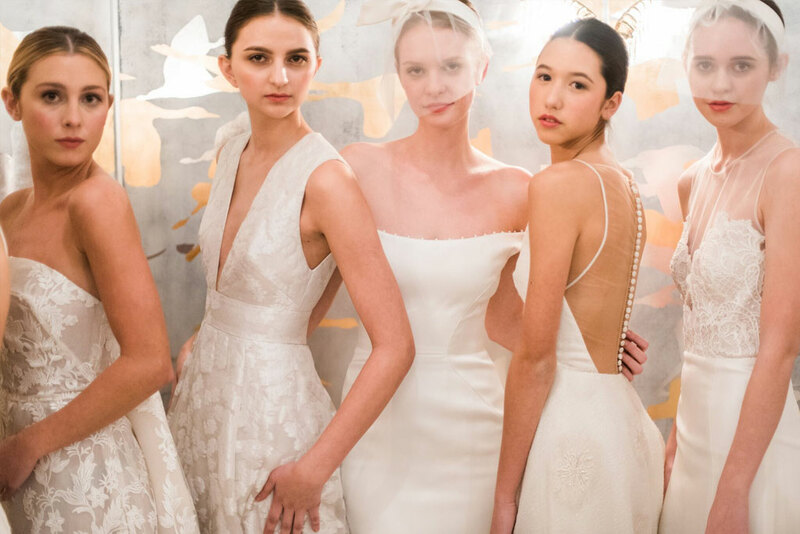 Enjoy treats, sips, and an evening of runway shows from top area bridal shops in a chic cocktail party atmosphere. Presenting boutiques include: Bella Bridesmaid, Betty Bridal, Lovely Charleston, Maddison Row, Southern Protocol, and Verità. Who doesn’t love a gorgeous, elegant, and flawless fantasy? Glean expert insights—like the delicate balance between illusion and reality—in this two-part look into the art of designing ultra luxury events. First, David Beahm, Marcy Blum, and Lynn Eastongive a peek behind the veil, sharing their secrets to elevating weddings to beyond memorable. After the panel, join world-renowned designer Colin Cowie to learn how he orchestrates one of his signature experiential events that entice the senses on every level. Afterwards, join the speakers for a mix-and-mingle gathering. Learn from wedding industry luminaries and tastemakers Calder Clark , Jessica Levin Conroy, founder of Carats and Cake and Tara Guérard of Tara Guérard Soirée about how offering boutique hotel amenities and schooling your service staff can create a tidal wave of repeat clients, from planners to couples and their many guests. Join Darcy Miller, author, editor, crafter, confetti connoisseur and consummate party person, for this intimate sip-‘n’-see tea where she shares the best takeaways from her book, “Celebrate Everything!” Plus, learn how to make any wedding a standout with personal touches. With your ticket you will receive a copy of her book, "Celebrate Everything" - so be sure to have her sign it while you are there. 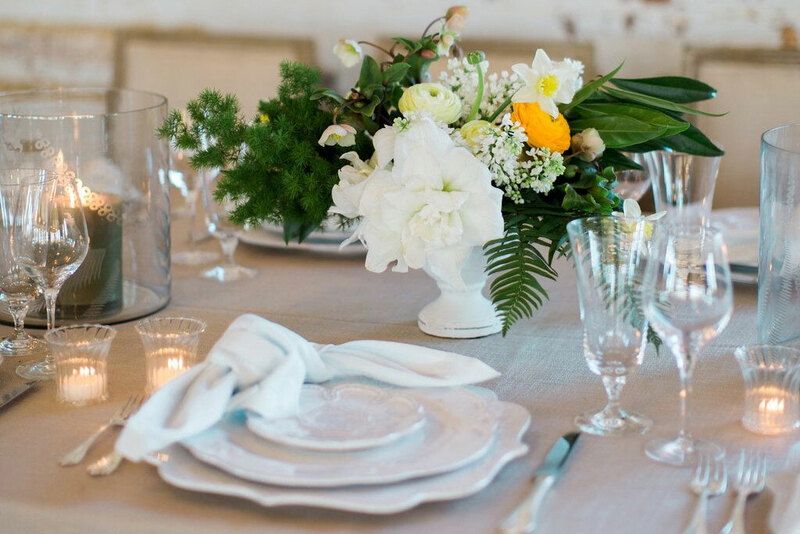 Network in high Charleston fashion over an intimate dinner with the who’s who of the local and national wedding world. From fashionistas to editors, photographers, planners, and more, the A list guests include many of the week’s luminaries. The evening begins with a private rooftop reception at the Dewberry Charleston. Then be whisked away to the Gibbes Museum of Art where you will be greeted with passed canapés and welcome libations. Enjoy an intimate three course seated dinner by Cru Catering in the grandeur of the Gibbes Museum Rotunda. Fashion Installation: Southern Protocol // *VIP Transportation Provided from The Dewberry Charleston to The Gibbes Museum and back to the Dewberry—transportation must be reserved in advance. To reserve transportation, please select the transportation ticket option at time of purchase. Marketing your events these days is all about placing shoots and real-life weddings online, on social media, and in print. Here, decision-making editorial experts share their advice for crafting the submissions perfect for their publications. 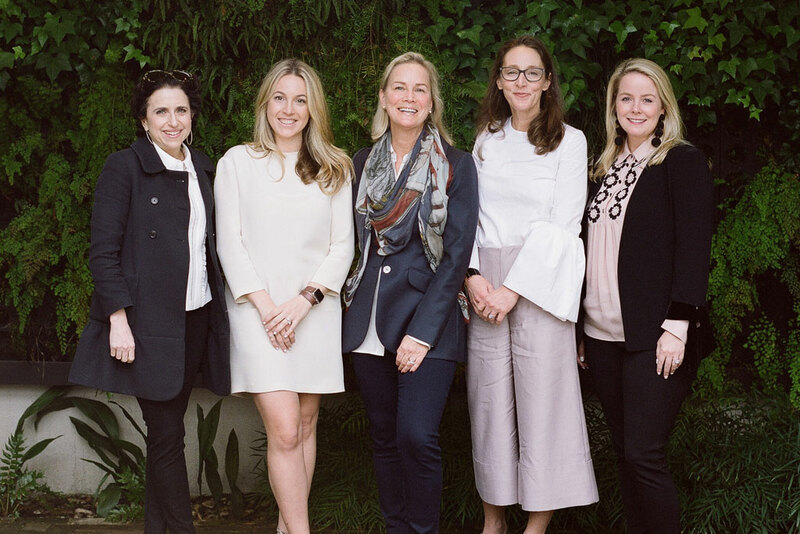 Join editors Lisa Gooder, Executive Director of BRIDES; Darcy Miller, Editor-at-Large of Martha Stewart Weddings; Ashley Rockman, Executive Relationships Editor at HuffPost; Kimberly Fusaro, Contributing Editor, Glamour.com and Martha Stewart. Join Carrie Goldberg, Travel & Weddings Editor HarpersBAZAAR.com and Corbin Gurkin, Photographer, Corbin Gurkin Photography, for expert insights in the art of styling shoots for publications. Learn how to take your inspiration boards from concept to reality. 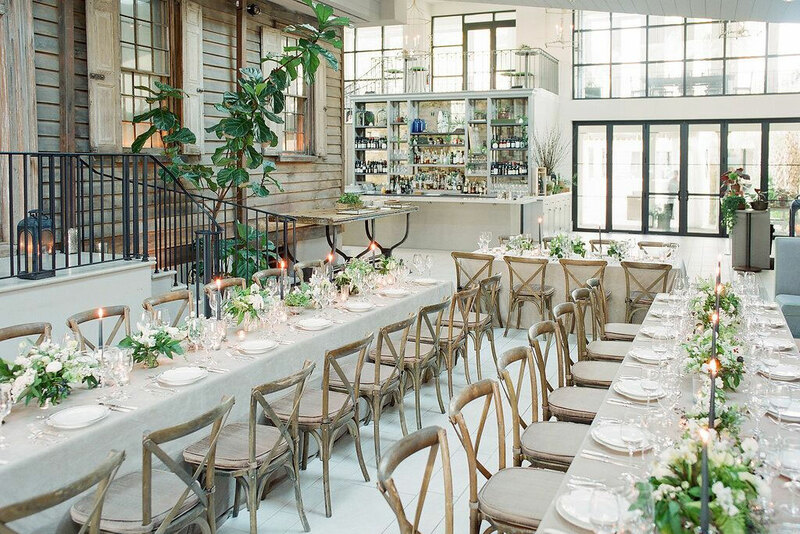 We talk you through the elements of design, from color palette to flowers, and school you in the nuts and bolts of event production, from styling tools to rentals, and more. 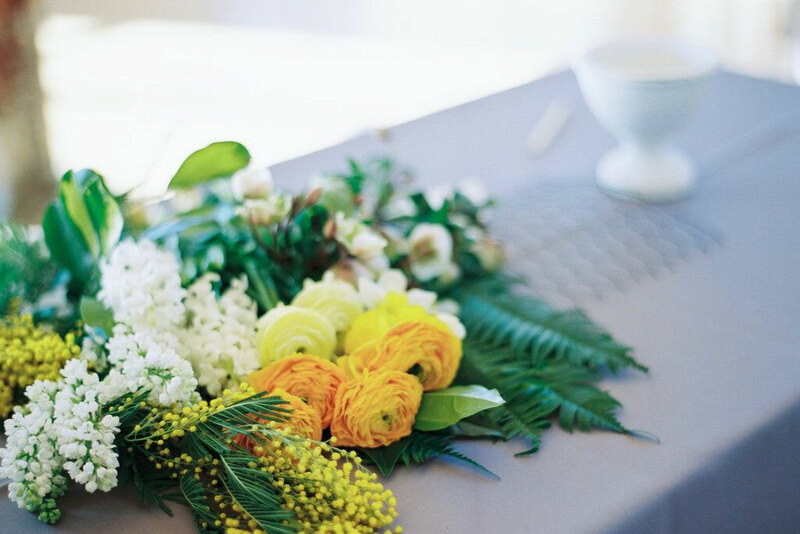 Plus, as you craft your own take-home centerpiece, you’ll glean hands-on tips and resources for DIY florals. 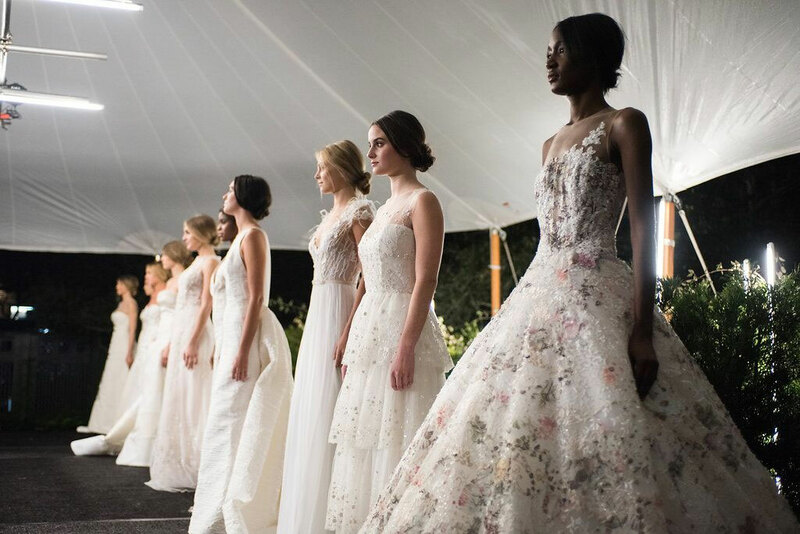 Spend an elegant evening at Lowndes Grove Plantation with some of the country’s most luminous wedding gown designers. After the shows, visit with them in a luxurious setting to learn how they work, what inspires them, and more. Designers include: Emily Kotarski, Made with Love presented by Lovely Bride Charleston, Mason Hosker, and Modern Trousseau. Prepare to plan your perfect Big Day when you step into this progressive house party, where each room hosts a different expert (or experts) and signature experience to help you be a happier bride…or an even better industry pro. The event kicks off with a fashionable welcome featuring Carol Hannah gowns. 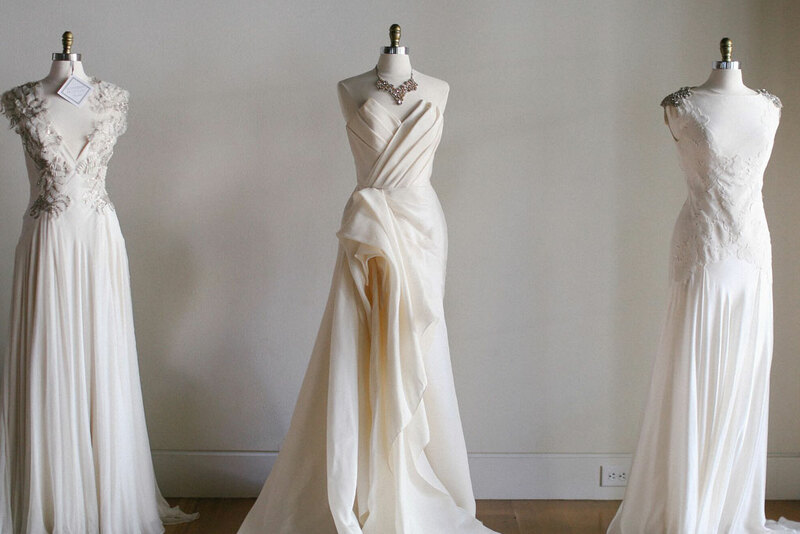 View the gowns and then get set to meet and learn from industry pros. 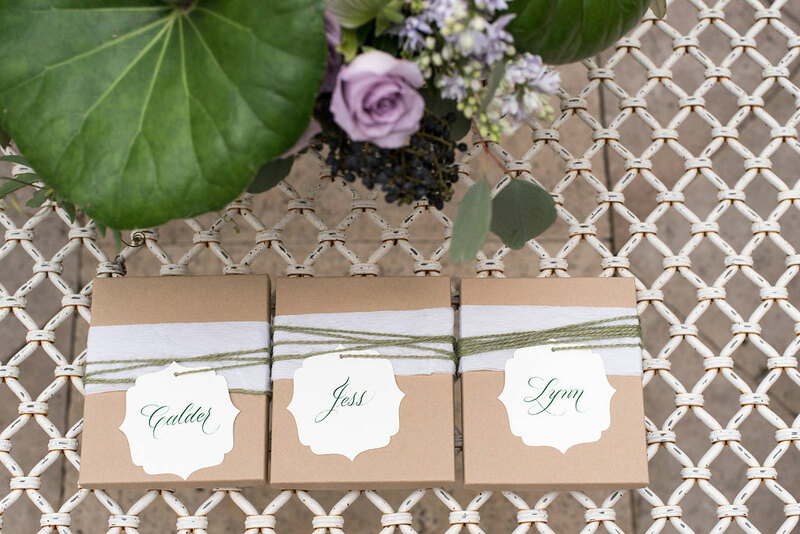 Join Ceci Johnson of Ceci New York for her expert insights on creating and incorporating beautiful papers and stationery for your wedding and beyond. Meet the diamond magic makers from Henri Daussi for jewelry tips and to try on some of their latest looks in the Diamond Lounge. Define yourpicture-perfect look and lip shade with makeup and hair expert, Ashley Brook Perryman of ABP Makeup. 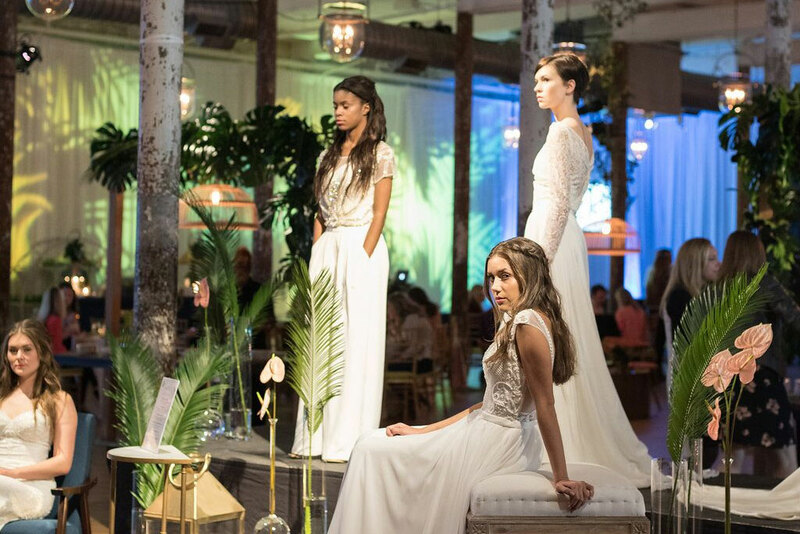 Find your perfect gown with style insights from the team at Southern Protocol Bridal and Cacky Rivers of Cacky's Bride-Aid. 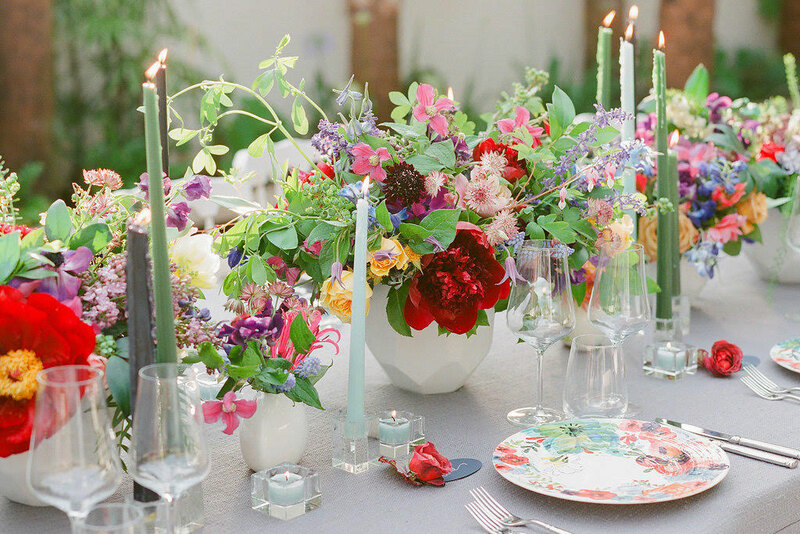 Discover the secrets to selecting gorgeous seasonal flowers (and staying in your budget) with floral and planning guru, Lisa Thomas of Ooh! Events. While you are there, mingle and enjoy tasty bites from Hamby's and Tristan, live music from East Coast Entertainment, enter to win a Henri Daussi diamond band, and collect a treasure trove of tips on a variety of wedding topics. After a week of wedding workshops and fashion, it is time to celebrate and discover fabulous finds at our curated pop-up party brimming with luxury wedding artisans. 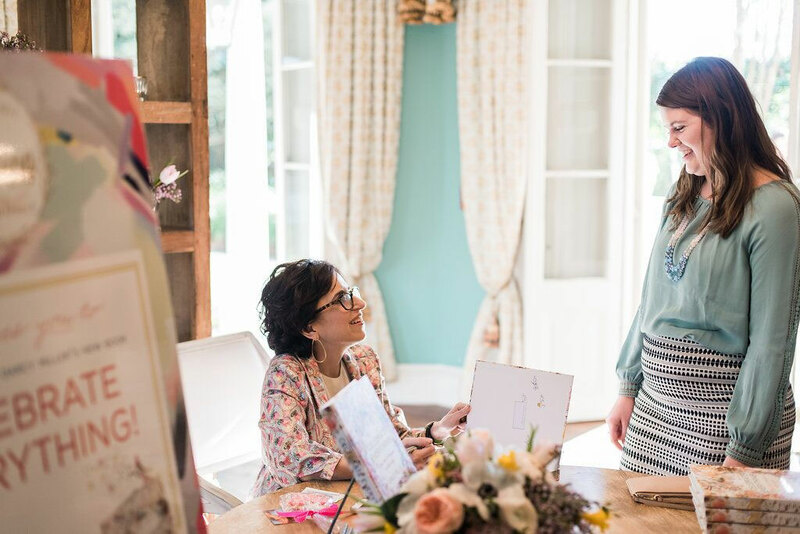 Shop hostess gifts and Big Day décor or commission custom stationery at this gathering of luxury vendors. Stay for dancing, drinks, and more at the finale party. From bridesmaids and groomsmen gifts and decor, or commissioning the stationery of your dreams, this is a finale not-to-be missed.